Please read these terms and conditions of use carefully before using this Website. These terms and conditions apply to all users of this Website including casual browsers and visitors. ‘Information’ All and any data, information, materials including such details of third party property auction providers, links to third party auctioneer websites, details and specifications of properties listed by any third party property auctioneer from time to time available at auction, dates of past, current and future property auctions provided by third party auctioneers selected by Us, weekly update e-mails (provided to Members only), access to the Realbid Viewer (provided to Members only). ‘We’, ‘Us’, ‘Our’ Refers to Propertyauctions.com the trading name of Property Auctions.com Ltd being a company incorporated in England and Wales and registered under Company Registration Number 04125005 and whose registered address is 15 Forster Avenue, Beeston, Nottingham, NG9 1AE, its agents and employees. ‘Realbid Service’ The Members only remote bidder service that We provide in accordance with the Realbid Service Contract. ‘Visitor’ Any person accessing this Website who has not registered and become a Member. 2.1. By using this Site either as a Member or Visitor You are accepting these terms and conditions which will form a legally binding agreement between You and Us. 2.3. By becoming a Member You agree to receive weekly generated update e-mails from Us. 2.4. If You chose to register as a Member You must provide up to date accurate details of Your name and address and a valid e-mail address. By completing the registration process You are confirming that the details You have supplied are correct and accurate. You will receive e-mail confirmation that Your application to become a Member has been accepted together with Your unique login and password details. 3.1.1. You do so on Your own behalf and not on behalf of a business or corporate entity or other third party and Your rights under the terms and conditions cannot be transferred to any other person. 3.1.2. the Information available to You from this Site will only be used for Your personal purposes and not offered or exploited by You for any other purpose, whether commercial or otherwise. 3.1.3. You will take all necessary precautions against viruses, hacking and other types of computer misuse. 3.2. Visitors may access the Site without registering as a Member but shall only have access to some of the Information which will be limited to dates of third party operated property auctions and a photograph of any property from time to time being advertised for sale by any such third party property auctioneer but not full particulars, details or description of any such properties. 3.3. It shall be at Our absolute discretion from time to time to decide the extent of the Information available to Visitors and We shall be under no obligation to provide any Information to Visitors at any time. 3.4. In order to access all Information (from time to time provided by Us on the Site) or to use and view the Realbid TV or Realbid Service You will be required to become a Member. 3.5. 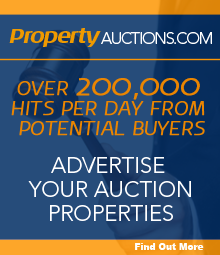 When You register to be a Member Your details will automatically be included on Our weekly mailing list and You will receive weekly automatically generated e-mail updates and notifications of properties and auctions hosted by third party property auctioneers that We consider that You may be interested in. 3.6. If You as a Member wish to stop receiving Our weekly updates e-mails You can update Your membership data by accessing the DataClub login page at any time and selecting the option ‘DO NOT SEND ME UPDATES’ or You can contact the Data Manager in any of the ways set out in the Contacting Us section of these terms and conditions. 3.7. When You have registered to become a Member You will be permitted access to the Realbid TV free of charge, access to this facility is at Our absolute discretion and will be governed by these terms and conditions from time to time in force. 3.8. You will not be able to take part in or make any bids at any property auctions from time to time being broadcasted on the Realbid TV through the Realbid TV facility. 3.9. Any Member that wishes to take part in or place or make bids at any of the property auctions from time to time being broadcast on the Realbid TV facility will need to contact the individual property auctioneer offering the property / properties that the Member is interested in directly via the Site or in any other way the Member may chose. c) entered into a binding agreement with Us and paid the fee payable under the Realbid Service at least 48 hours before the date of the specific property auction the Realbid Service is required for. 4.1.1. uninterrupted access to this Site and the Information it provides subject to the limitations as to accessibility of Information to Visitors as detailed in the terms and conditions. 4.1.2. uniterruped access to the Realbid TV facility via this Site. 4.1.3. accurate updating of Information as often as reasonably possible (subject always to receiving such updated material, data and information from any third party to whom the material, data or information is provided by). 5.1.2. the Information or any other material, data and information will be accurate. 5.2. We reserve the right to alter add-to reduce or remove the Information displayed on this Site at anytime including but not limited to removal of links to third party auctioneer websites or services. We shall use Our reasonable endeavours to inform You of any material change to the Information or other material, data and information displayed on this Site or any services that We may from time to time offer, by notification on the Site. 6.1. We reserve the right to suspend all or part of the Information, including any other data, material, information or links to third party websites and access to this Site at any time in order to carry out scheduled or emergency maintenance or repairs or carry out upgrades to improve the facilities or services (if any) offered or functionality of this Site or in order to comply with any statute, order or regulation from time to time in force. 6.2. We reserve the right to suspend access to RealBid TV or Realbid Services at any time in order to carry out scheduled or emergency maintenance or repairs or carry out updates to improve the facilities and services (if any) offered or functionality of the Realbid TV or Realbid Services or to comply with any statute, order or regulation from time to time in force. 6.3. We reserve the right to cancel withdraw or take down all or any Information on this Site at any time to comply with any statute, order or regulation from time to time in force. 7.1. We shall have no liability or responsibility to You for the accuracy of any Information and material on this Site provided by third parties and links to third party websites displayed on this Site which are not within Our control and You confirm that use of any links provided on this Site to third party websites or information, data or material is accessed at Your own risk and to the fullest extent permitted by law We shall have no responsibility or liability for the accuracy of such information or links or any damage to or loss of data on Your computer system caused by accessing any third party websites, links or information. 7.2. The publication on this Site of third party information, data or material or links to third party websites does not by implication or otherwise confirm or imply that We recommend such third parties, their services or goods nor does it confirm or imply that We endorse the views content or information published by such third parties. 8.1. Whilst We will endeavour at all times to comply with our legal and contractual obligations we do not accept liability for any loss suffered by You as a result of any delay, mistake, error, omission, unavailability, failed access, misrepresentation, mis-description, breach of contract, breach of duty or other act or omission (unless fraudulent) however made or caused in respect of the Information or any other information data or material or any services (if any) provided to You as a Member or Visitor on this Site. 8.2. We do not accept liability for any consequential economic or other losses suffered by You as a Member or Visitor to this Site whether resulting from misrepresentation, mis-description, breach of contract, breach of duty or other act or omission (unless fraudulent) however caused. 8.3. All warranties conditions and other terms implied by statute or common law are, to the fullest extent permitted by law, excluded from Your use of this Site and this Clause 8. 8.5. Nothing in these conditions shall limit Your right to seek to recover damages for personal injury or death occasioned by breach of contract or breach of duty by Us. 8.6. Each of the above exclusions or limitations shall be construed as a separate, and severable, provision of these terms and conditions. 9.1. We may terminate Your use of this Site or Your membership if You are a Member if You are in material breach of any of these terms and conditions. 9.2. Any rights that have accrued to either party at the date of termination will remain enforceable after termination. 9.3. Members may terminate their membership at any time by notifying Us in writing in any of the ways set out at clause 15 (Contacting Us) of these terms and conditions or by selecting the terminate membership option in the Dataclub login facility. 10.1.1. vary the Information or Services we provide. 10.1.2. vary these terms and conditions. We shall notify users of changes on this Site by up dating this page. We recommend that You check this page regularly to ensure that You are aware of any changes in the terms and conditions of use of this Site which We may make from time to time. Your continued use of this Site after the notification of any change by the updating of this page will constitute acceptance by You of them. 11.1. All intellectual property rights in the design and contents of this Site including but not limited to copyright in all material, database rights in databases, trademarks, product names, logos, designs and get-up belong to us or third parties . You may only view and take copies of any part of this Site for the purpose of using this Site for Your own personal use and Your use of this Site shall not in any way confer or grant to You any right or licence, by implication or otherwise, to use any such intellectual property or information. 11.2. You agree that You will not directly or indirectly change, modify, copy, reproduce, download, re-publish, broadcast, transmit or display in any way any design and / or contents of this Site nor shall you set up create or otherwise and shall not directly or indirectly use the same for any business or commercial purpose or permit or allow or facilitate any other person(s) to do so. 11.3. The unauthorised use or publication or dealing with Our intellectual property, material or other information displayed on this Site or that of third parties by You may be in breach of intellectual property rights of Us or those third parties and will be in breach of these terms and conditions of use. 12.1. We shall not have any liability for any delay, omission, failure or inadequate performance by Us in relation to this Site or the supply of goods or services through it which is the result of circumstances beyond our reasonable control. Where We are so affected in Our performance of Our obligations under these terms and conditions We will notify You by electronic means as soon as is reasonably possible. 12.2. Force majeure includes but is not limited to civil commotion, war and terrorist action, state action, industrial action whether lawful or otherwise, non-availability of raw materials, components and labour at commercially viable prices, unavoidable accident, fire, flood, earthquake, subsidence, epidemic and other natural or physical disasters. 13.1. These terms and conditions shall be governed by the laws of England and Wales and are subject to the exclusive jurisdiction of the courts of England and Wales. In the event that any of these terms and conditions is found to be invalid or otherwise unenforceable then such term shall be regarded and construed as severable from the remaining terms and conditions so as not to affect the validity and enforceability of the remainder. 15.2. You can contact Us by telephone on 0115 9724000 between the hours of 9am and 5pm on Business Days.